Terence Joseph Murphy was born about 1934, son of Margaret Ellen Murphy (d.1981). He was the brother of Alderman Maureen Margaret Oliver. In 1986 Terry Murphy was a Westpac Bank messenger. He lives in Erskineville. 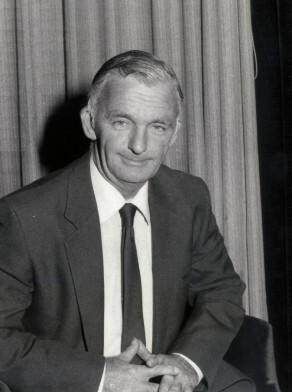 Terry Murphy was an Alderman of the former South Sydney Council before being elected to Sydney Council. Terry Murphy was Alderman for Alexandria Ward, 1 January 1982 to 25 March 1987 when the Council was replaced by City Commissioners. Murphy was a member of the Building and Development Committee and the City Planning Committee from 1983 to 1984, the Equal Employment Opportunity Implementation Committee in 1984, and the Major Building and Development and City Planning Committee from 1985 to 1987. He was a member of the Australian Labor Party.